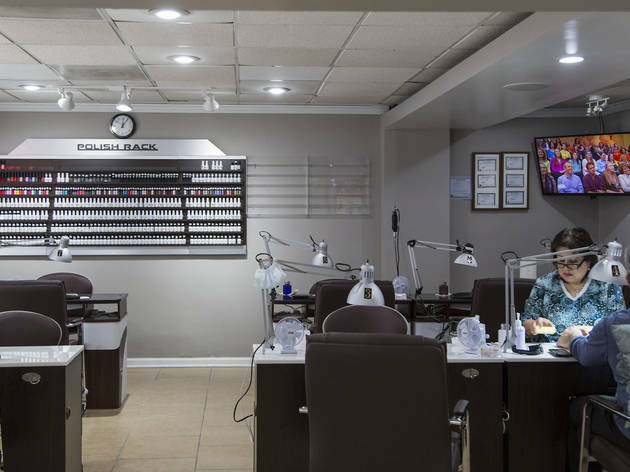 These nail salons in Chicago rise to the top of hundreds, probably thousands, of places you could go to have your nails done in the city. And just how do these spots stand out among so many? Well, some offer prices that are just too good to pass up. Others have amazingly detail-oriented and friendly staff. Many also have awesome perks, like BYOB, free wine, free parking, or even a full-service bar for cocktails. 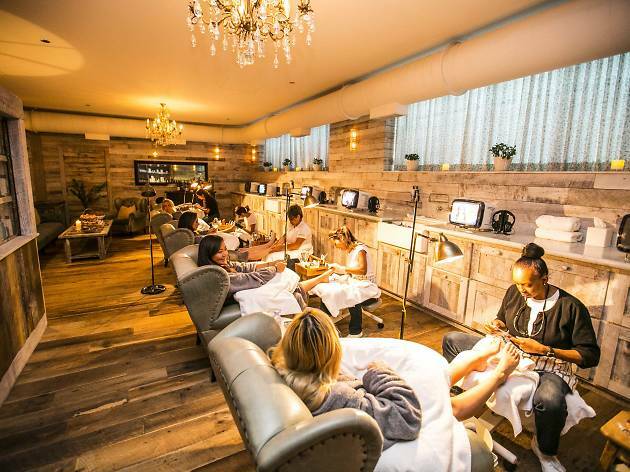 The next time your hands and feet call for a little TLC or you're planning a staycation and pulling out all the stops, head to one of these Chicago nail salons. You won't be sorry. Cowshed is both a spa and an interior design junkie's paradise (much like the rest of Soho House). 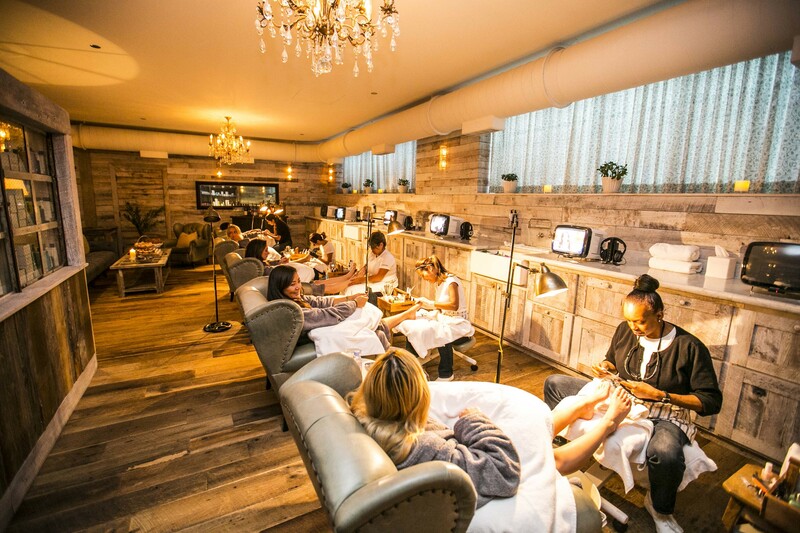 The rustic-chic space—home to five treatment rooms and six mani-pedi chairs—is decked out in Midwestern barnwood, crystal chandeliers, pristine vintage sofas and leather wingbacked pedicure chairs. 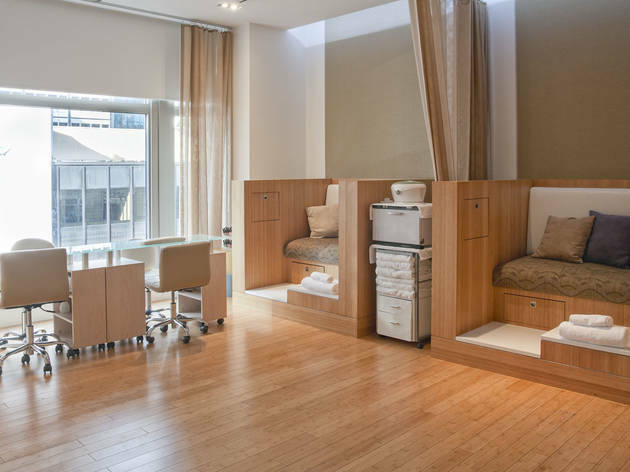 While each of the spa's treatments are equally stellar, it's the Ultimate Pedicure ($75 for 75 mins) you can't miss out on. It exclusively uses only all-natural Cowshed brand products, with a special exfoliating drill brought over from the UK, which will whip even the worst winter toes into shape. This is followed by a relaxing leg and foot massage, hydration mask, shoulder massage and polish, to top it all off. 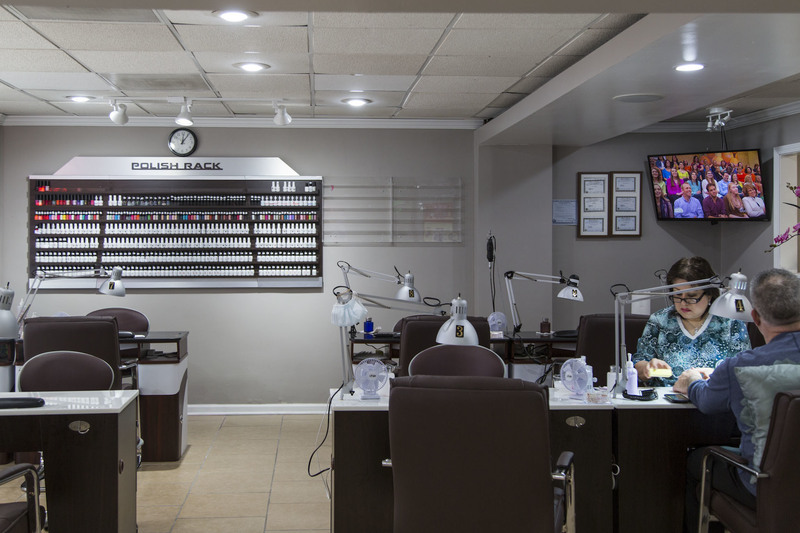 North Siders know Cuticle isn't your average nail salon. 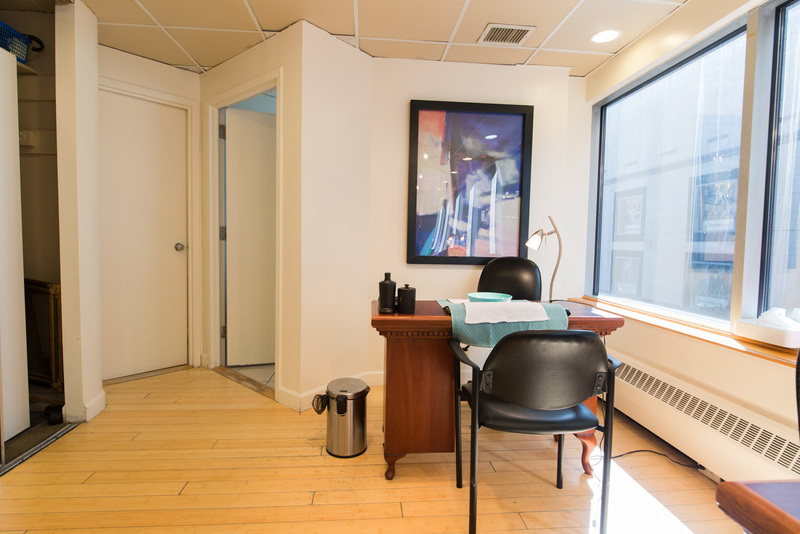 The Uptown space is small and minimal, yet inviting—outfitted in stylish decor (think fashionable armchairs and sleek foot basins in favor of the usual massage chair). Prices are low, but customers return for the service, which is always flawless and clean. You even get to keep your nail file at the end. 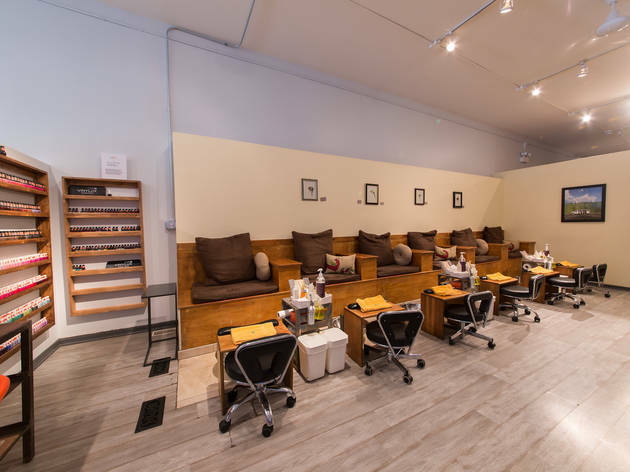 Expect top-notch manicures and pedicures at this newly renovated, impeccably clean Gold Coast nail salon. Attention to detail is the norm here, which results in especially long-lasting, no-chip manicures. The fact that the salon stocks pretty much every nail polish color under the sun is also a win in our book. 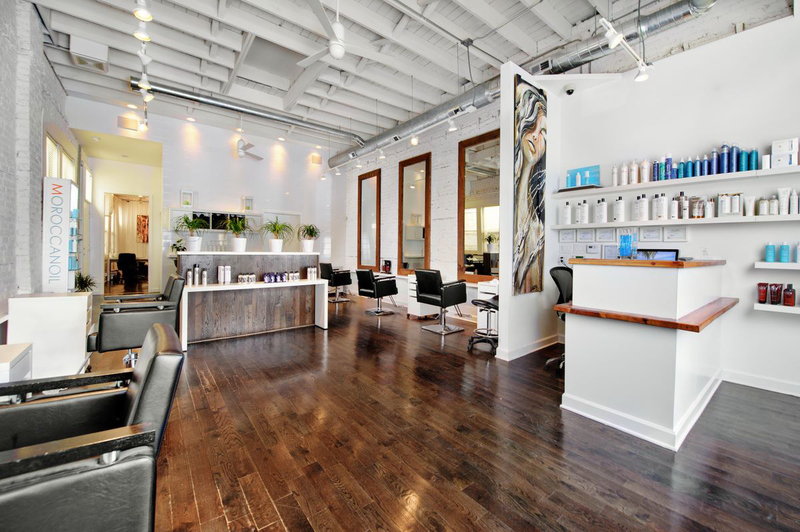 Reasonable prices, attentive employees and a clean setting make this salon stand out from the pack. The polish selection is huge, and customers are greeted with a smile and a beverage as soon as they step their tired feet through the doors. Be sure to check out the salon's mid-week specials if you want the most bang for your buck. Plus, book appointments online in a flash. You only have to go as far as Wrigleyville to feel like you've traveled worlds away. Over the last four years, co-owners Kristen and Antonio Favaro have been improving their Italian-inspired destination salon with classic spa amenities—an upstairs sanctuary with six treatment rooms, expert massage therapists, a marble steam shower and an espresso bar. 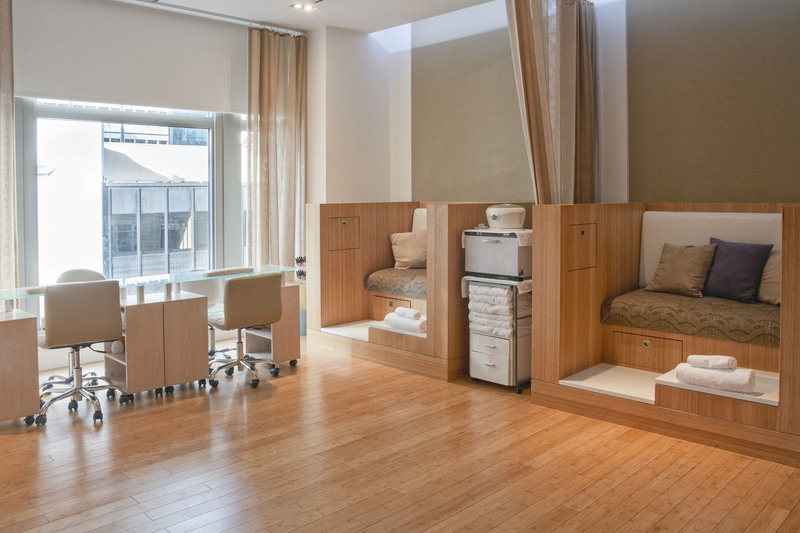 Manicures and pedicures are nothing less than lovely, incorporating soothing organic scrubs and reflexology massage. It's clear they pay attention to details here. Wrigleyville's Nas (the Serbian word for "our") is the kind of salon where you're treated like family. The staff is made up of trained nail technicians, and the services range from nails to body treatments and microdermabrasion. This spot also gets major points for handing out street parking passes after 6pm and even free valet services during most Cubs games. 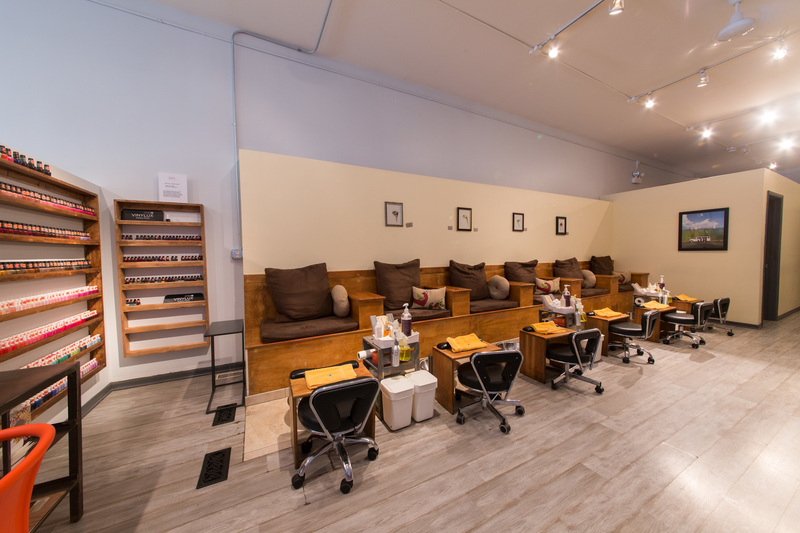 Thanks to its BYOB policy, this Gold Coast nail spa is the perfect after-work spot where you can let your hair down. New Age caters to the Whole Foods set (at Whole Foods prices), with goods such as liquid gels (as opposed to abrasive acrylics) in 300 colors and vegan-friendly organic mani and pedi treatments. The organic SpaRitual mani/pedi, for example, is $85. The gender-neutral vibe means this place is good for guys, too. 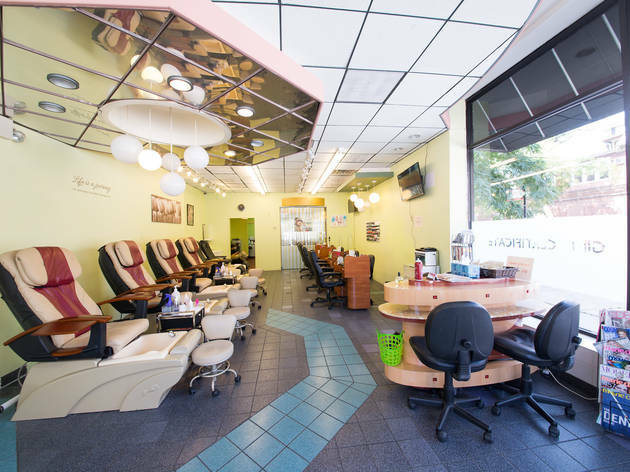 Seeking a luxurious mani/pedi? Balance Spa won't let you down. Slip on a comfy robe and sink into an oversized plush pedicure chair with a warm pot of tea. Both hand and foot treatments include a soothing soak, exfoliating scrub, paraffin dip and massage. An hour or two at this spot will leave you feeling extra spoiled. 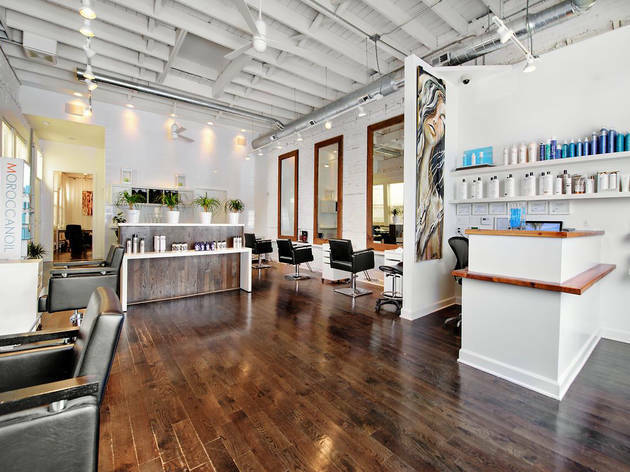 This stunning, eco-friendly Lincoln Park salon is well-known for its cut and color services, but the back room also boasts a newly renovated nail space. It’s cozy, charming and you’re usually offered some wine for sipping. 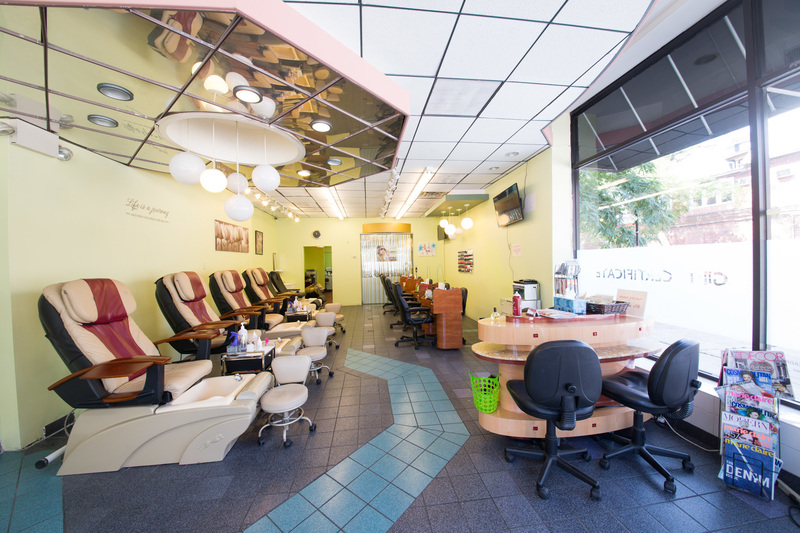 Nail services come with soak, scrub and clay treatment. 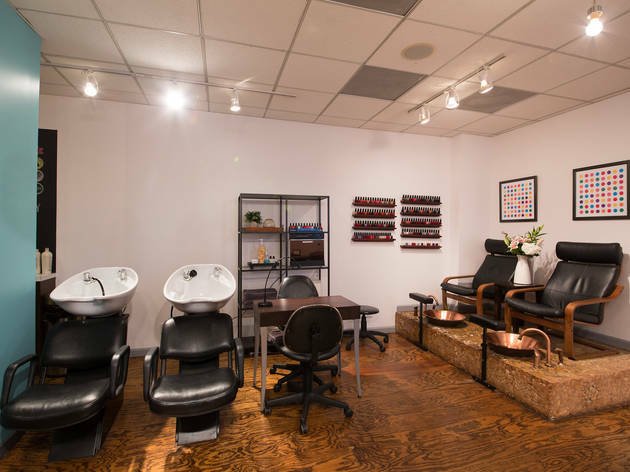 Clean and chock-full of colorful polish options, this Lincoln Park salon is known for its friendly staff and good service. Crazy-affordable prices don't hurt either. If you’re in search of good manis and good times, head to Polish & Pour—an Old Town nail salon complete with a full-service bar. Whether you’re celebrating a birthday, bachelorette party or catching up with a friend, this is a girly, must-visit spot. (It's also BYOB!) Expect to pay higher prices than average for salon services, but having a martini with your manicure is worth it—at least in our book. 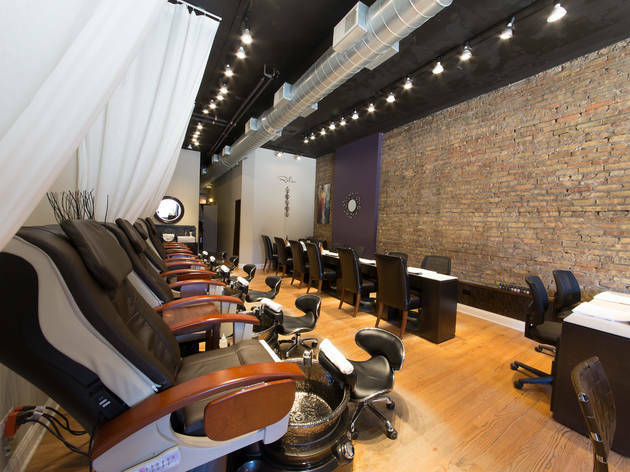 Head to this Lincoln Park nail salon Monday–Wednesday for a $35 mani-pedi special. Its polish selection is vast, the staff is friendly and they'll serve you beverages while you're being pampered. Pearl's also offers waxing, foot and chair massages, and you can book your appointment online for added convenience. Colette's has been a Gold Coast staple for more than 25 years. 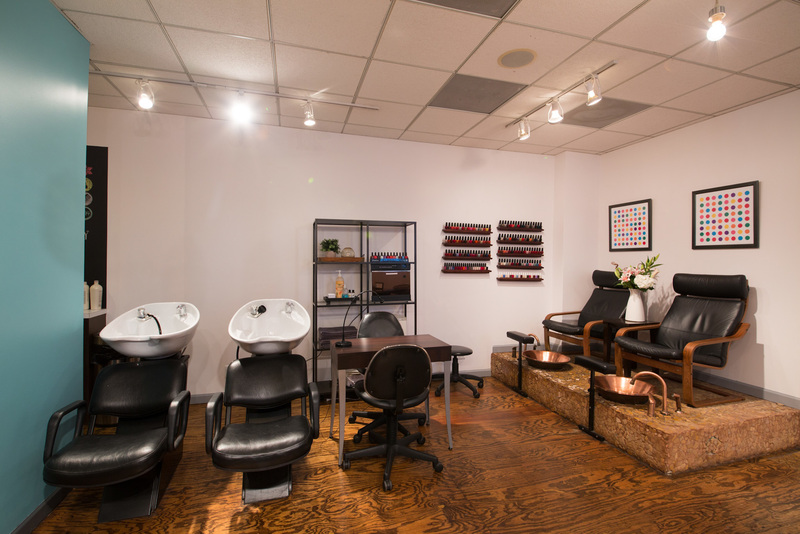 This spot is a go-to for all your beauty needs—hair, skincare and nails, too. 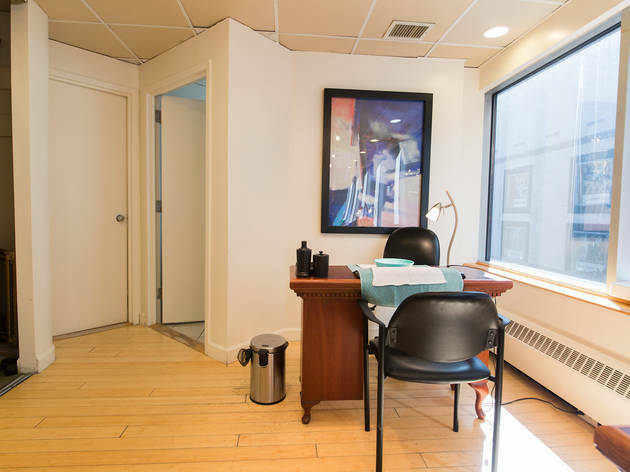 Expect nothing less than marvelous mani-pedis, haircuts, color and scalp treatments, extensions, eyelash extensions, waxing, facials, makeup application and massage treatments. 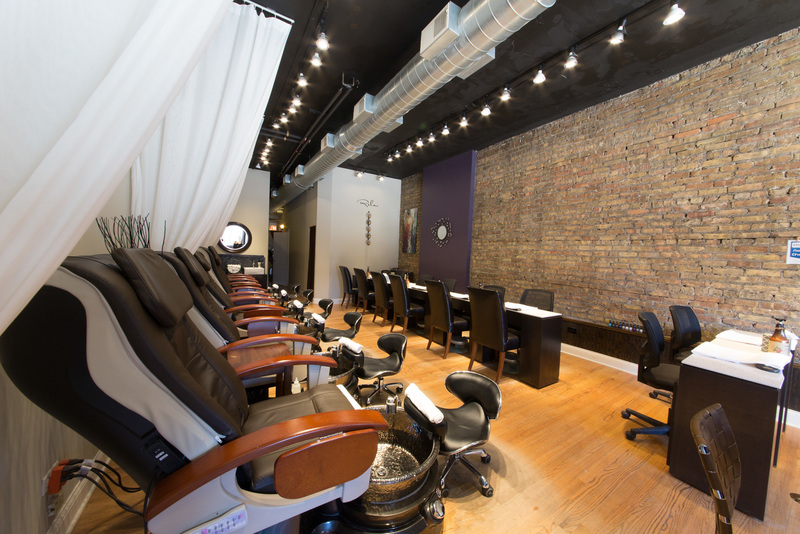 When you want a little extra pampering, head to ZaZaZoo in Bucktown. 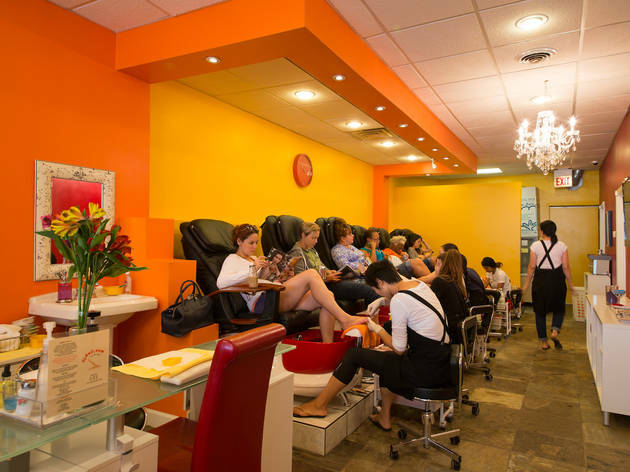 Nail techs serve LaCroix and stream chick flicks while you relax in comfy chairs. The bright white interior and fuchsia decor will also help put some added pep in your step. 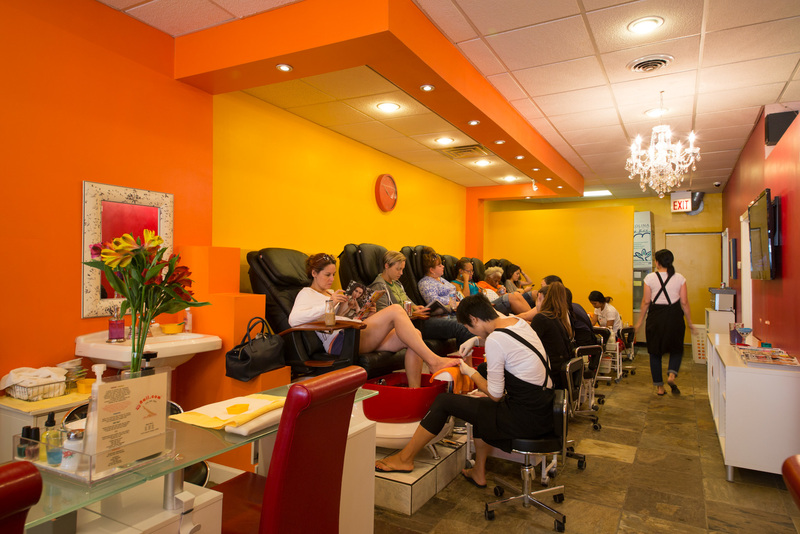 Be sure to take advantage of the mani pedi special for $35 Monday–Wednesday, and feel free to BYOB.